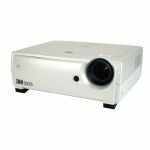 The InFocus IN1501 combines close-up projection with a compact form factor allowing for edge-of-table projection, freeing up table space, and minimizing ambient noise. Lightweight, portable, and powerful, the IN1501 features a brightness of 2700 lumens, and XGA (1024 x 768) resolution for vibrant, true to life images in vivid detail. 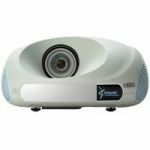 Loaded with the InFocus plug-and-project suite of digital connections, including DisplayLink™, HDMI, and LitePort™ PC-free presenter, the IN1501 is the most digitally robust mobile projector on the market, bringing leading-edge projection to even the tightest of spaces. At a compact 4.4lbs / 2 kg, the IN1501 is ideally sized for portability between small and medium conference rooms, yet can also be ceiling mounted. The IN1501 is fitted with a short throw lens which allows for up close projection where table and wall space are in short supply. InFocus ease-of-use features, including LiteTouch™ backlit keypad, and LiteSwitch instant ON/OFF, combined with an intuitive and user friendly interface, makes the IN1501 a perfect multi-user shared solution. 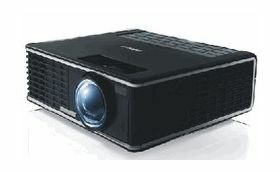 The IN1501 is packed with leading edge digital connectivity such as HDMI for seamless compatibility with the latest computer and HD Video sources, along with InFocus custom connections such as DisplayLink for projection over USB and LitePort for PC-free presenter inputs; all designed for plug-and-project ease. The IN1501 also features standard analog connectivity including VGA (HD15) and composite video. 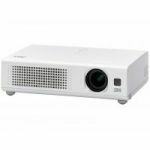 The IN1501 has a 20% optical zoom feature which allows users to resize the screen without physically moving the projector - a real bonus when table and room space are limited. Shining a powerful 2700 lumens, the IN1501 keeps your meeting together with bright crisp images, even with the lights on. A maximum resolution of UXGA (1024 x 768) ensures full digital compatibility with multiple data and video inputs, including HDTV. The InFocus IN1501 brings big, brilliant performances to the smallest of venues.